Where in the world was this photo taken? What do you think? Guess and discuss. 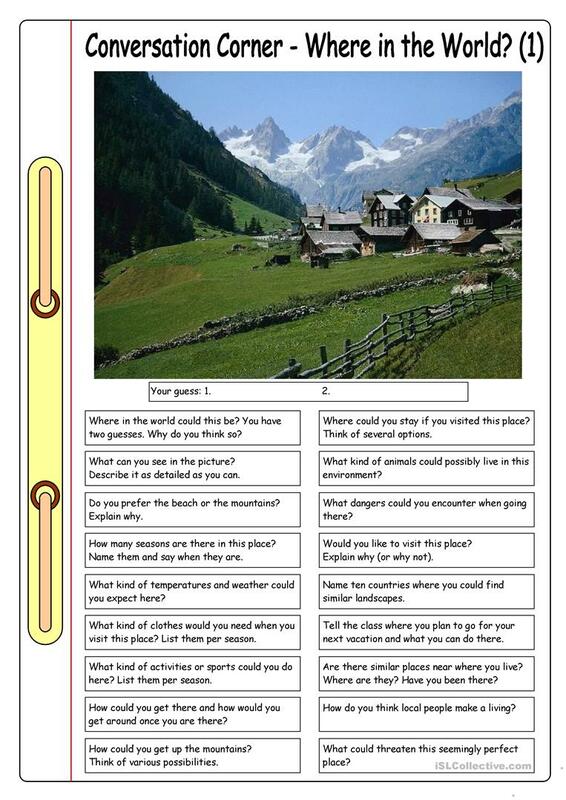 This conversation worksheet with 1 photo and 18 questions can be used as a basis for an informal discussion about holidays, mountains, clothing, leisure activities, weather, tourism and more. It can be used for Internet research and/or giving short presentations as well. The present downloadable printable is best suited for business/professional students, high school students and elementary school students at Elementary (A1), Pre-intermediate (A2), Intermediate (B1), Upper-intermediate (B2), Advanced (C1) and Proficient (C2) level. 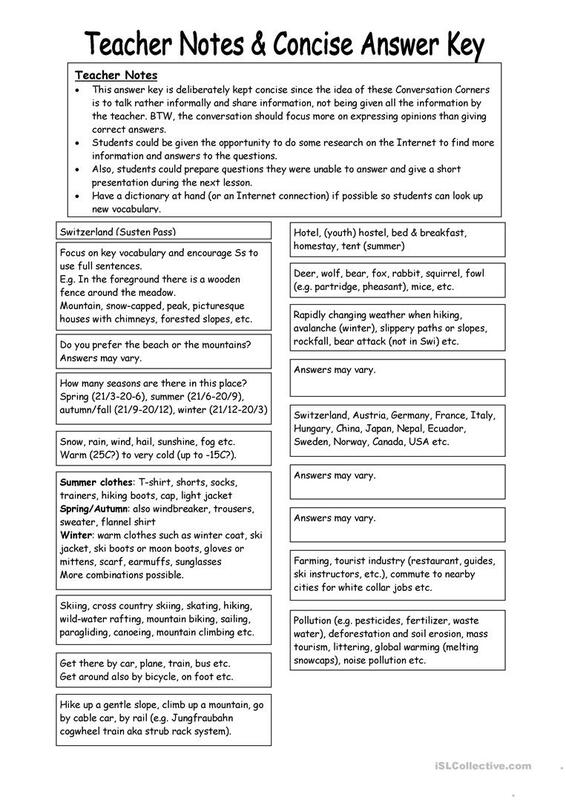 It can be used for honing your learners' Listening, Speaking and Writing skills. It is about the vocabulary topic of Holidays. It includes a key, too.